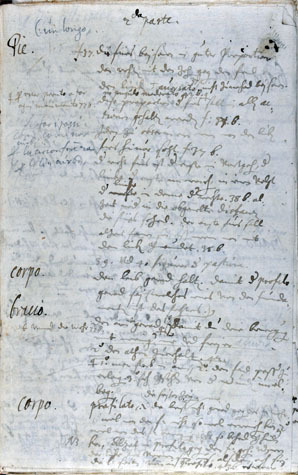 A notebook on destreza (referencing Luys Pacheco de Narvaez) with numerous additional loose leaves, some of them with high probability the second part of HS381, some of them illustrated. Written in 1615-1616 by Prince Gundaker of Liechtenstein. Download Aa298 "Über die Fechtkunst"
A notebook on Italian fencing, written in 1614 by Prince Gundaker von Liechtenstein. 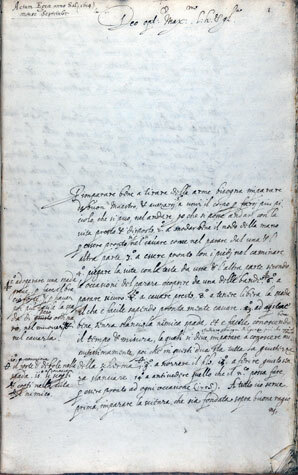 The notes are strongly resembling Salvator Fabris’ style and some paragraphs are verbatim copies of Fabris’ text.